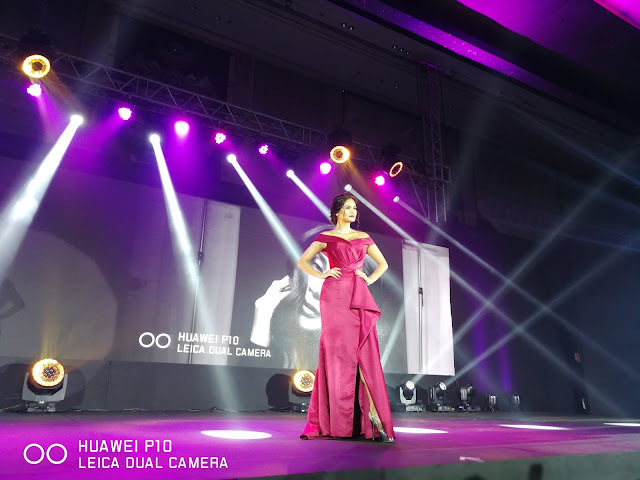 Home / ambassador / dual camera / huawei phones / leica lenses / pia wurtzbach / Pia for P10: Huawei officially introduce their new smartphone and ambassador. Pia for P10: Huawei officially introduce their new smartphone and ambassador. Huawei officially launch its newest flagship smartphone in the Philippines today, the Huawei P10 and P10 Plus. Its been the much anticipated addition to the P Series are combination of beautiful hardware and latest advance in software. Huawei also introduced Miss Universe 2015 Pia Alonzo-Wurtzbach as the new ambassador of P10 and P10 Plus. She enjoy using this phone, taking professional portrait photos made easy with this the Huawei P10, making every shot makes a cover shot. See her uploaded photo captured with Huawei P10 on her Instagram account at @piawurtzbach. The Huawei P10 has a 5.1-inch Full HD display while the Huawei P10 Plus has a 5.5-inch Quad HD display, both phones is protected by Corning gorilla Glass 5. This new devices is powered by a Kirin 960 Chipset and Mali-G71 MP8 GPU. Running on the EMUI 5.1 based on the Android 7.0 Nougat OS. Its equipped with Leica Dual-Camera 2.0 for the Huawei P10 and Leica Dual-Camera 2.0 Pro for the Huawei P10 Plus, its features artistic portraits with precise 3D facial detection, enhancement and natural bokeh effect and Huawei Hybrid Zoom as well as the Leica front camera with a brighter sensor and larger aperture for outstanding self-portraits. The new Huawei P10 and P10 Plus has 20MP monochrome + 12MP RGB Rear Camera, the different between the two the P10 has f/2.2 while the P10 Plus has f/1.8 aperture and a 8MP f/1.9 Leica Front Camera. The Huawei P10 will be available at P28,990 and the Huawei P10 Plus at P36,990 respectively at Huawei Experience Stores and partnered retail stores nationwide. To learn more about the Huawei P10 and P10 Plus, visit Fb.com/HuaweiDevicePH or go to Huawei Webisite.